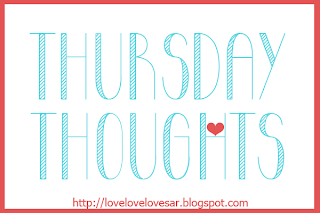 Linking up with Sar for Thursday Thoughts! There's nothing like a vacation to throw me in a Ihavesomuchshittodo frenzy. wedge in your lunch?" (I thought I may have put it in his lunch by mistake). and continued to eat my lunch... Cheese-less. Bwaaaahahaha I can just hear you on the phone with Ryan. "Did you eat my cheese?! It's not in my lunch!" So someone actually moved your cheese? Hey, that would make a great book!